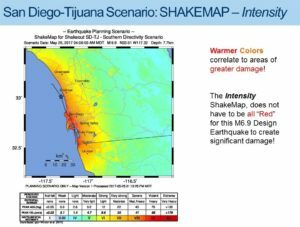 Working Group 1 is tasked with identifying the Scenario’s design earthquake with its earthquake shaking levels and intensities, along with any secondary hazards from the shaking. 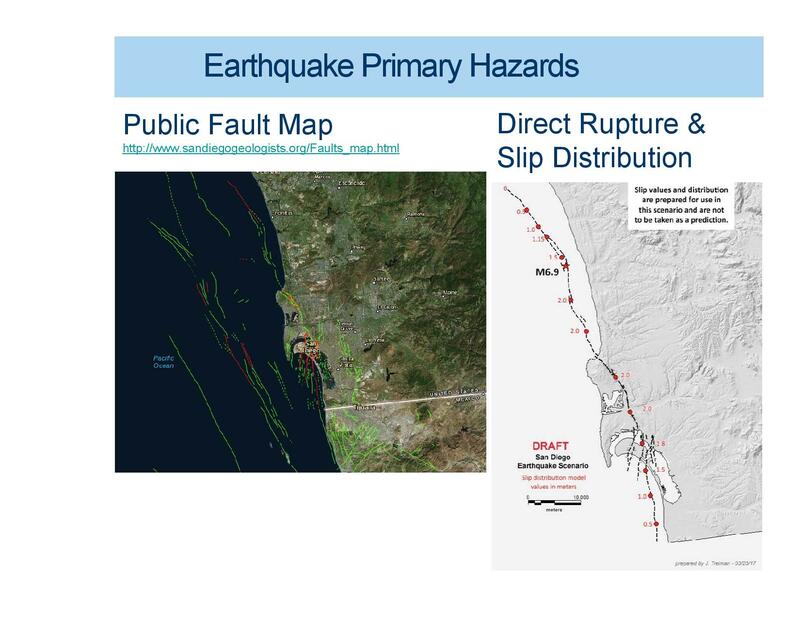 The products developed by the working group, including a preliminary shake map and PAGER report, are shown below. 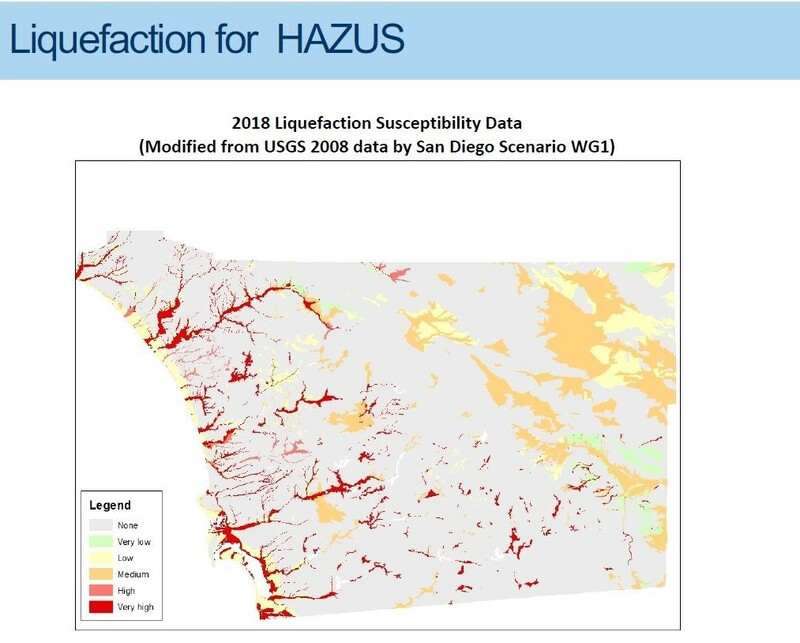 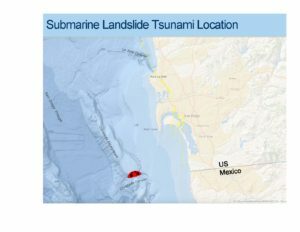 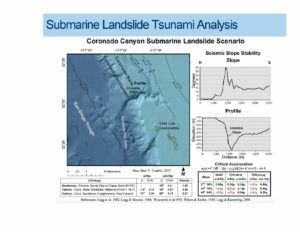 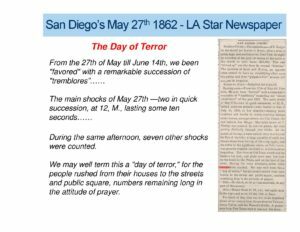 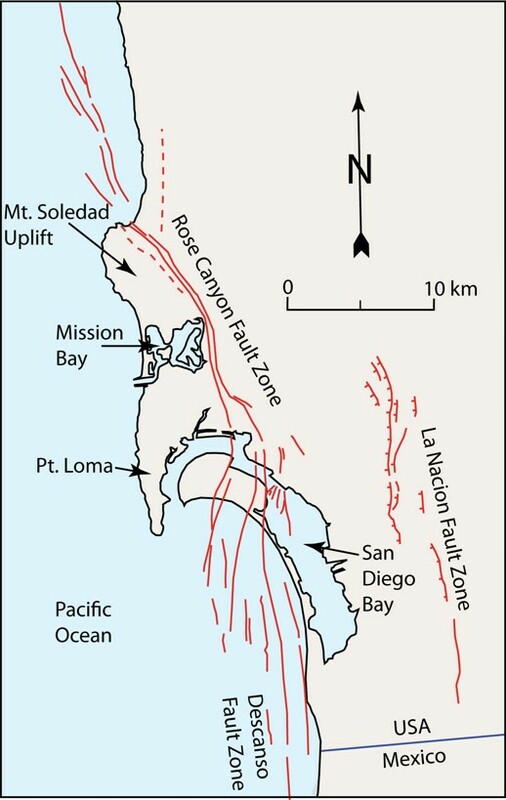 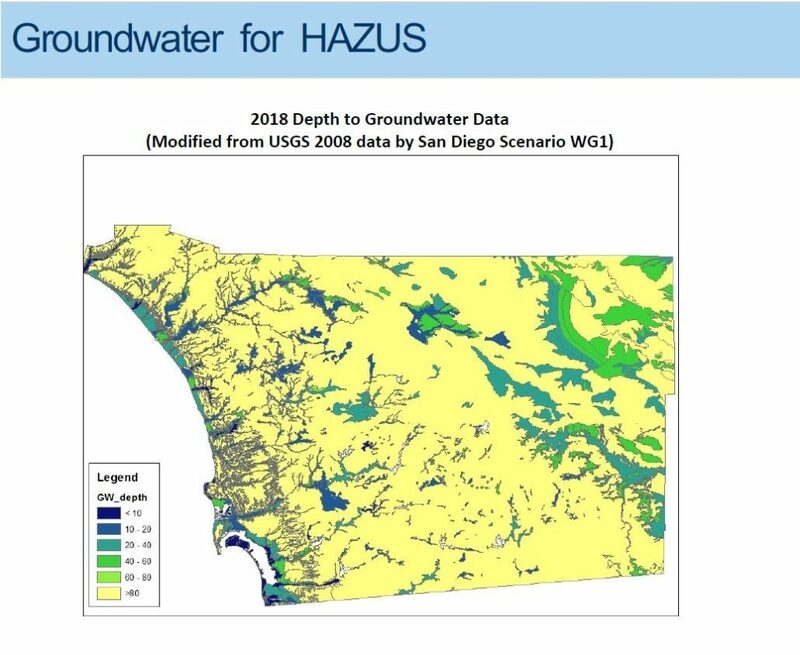 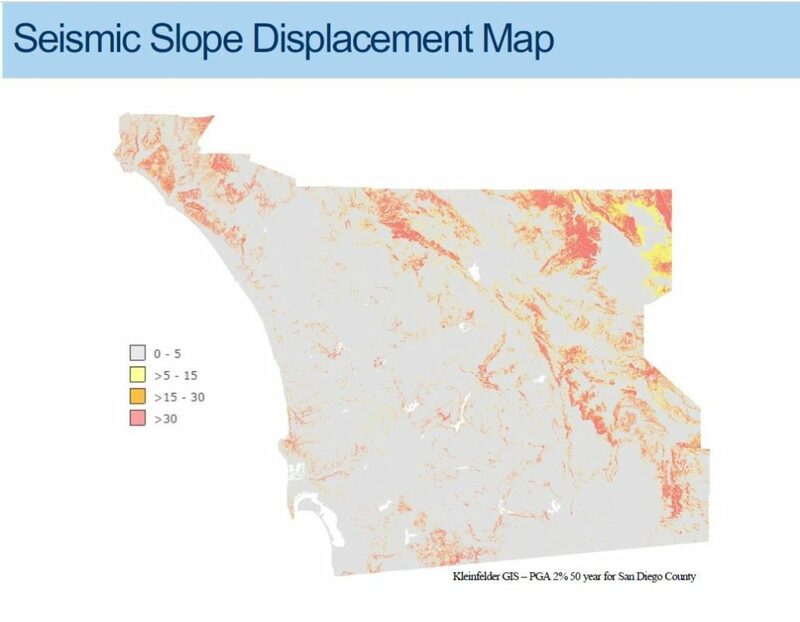 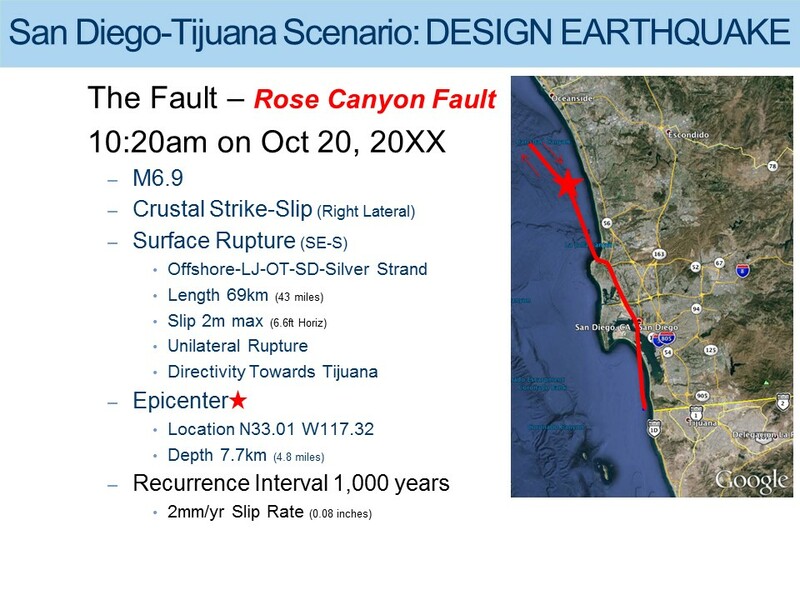 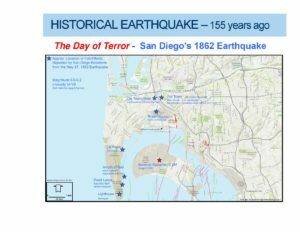 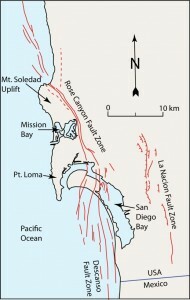 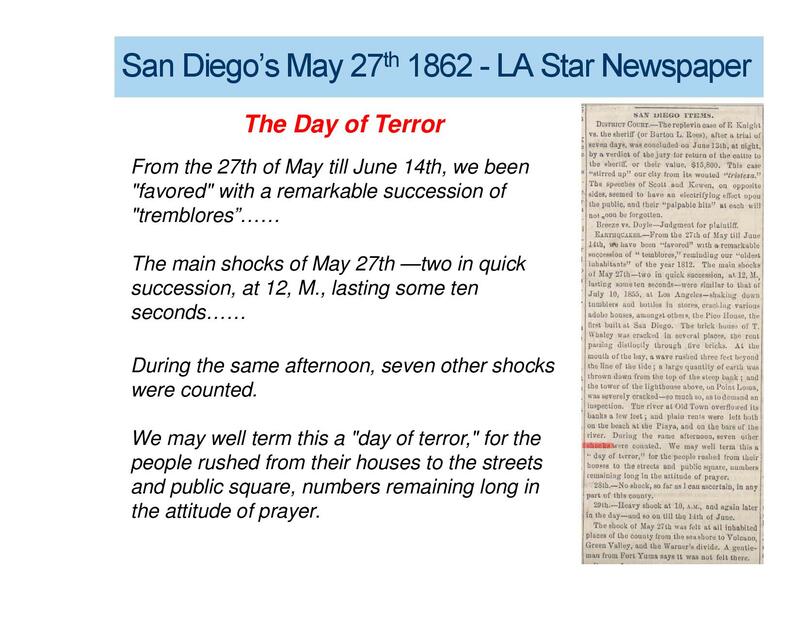 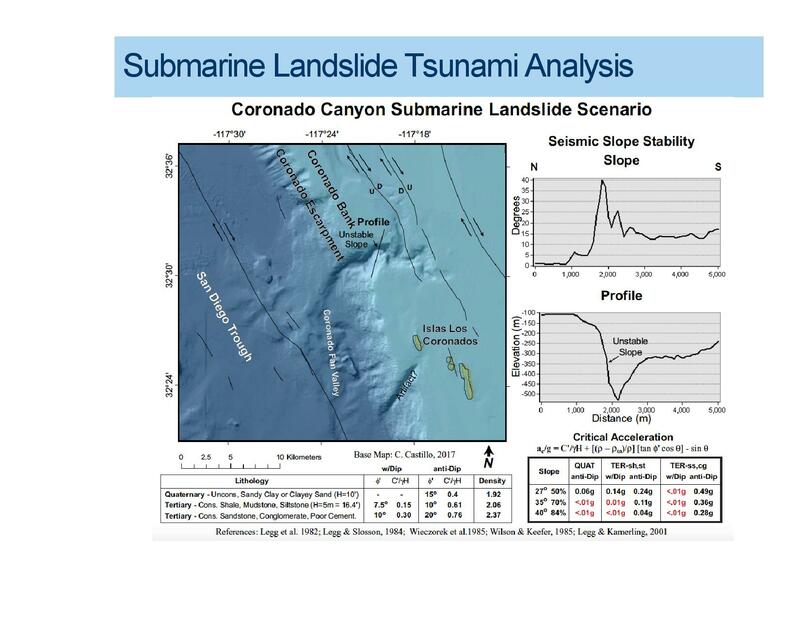 The expected impacts from the Scenario’s design earthquake will be assessed in more detail by the other working groups to yield a final scenario report that is more specific and customized to the San Diego-Tijuana region than the preliminary, automatic outputs provided in the PAGER summary below. 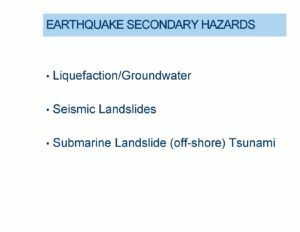 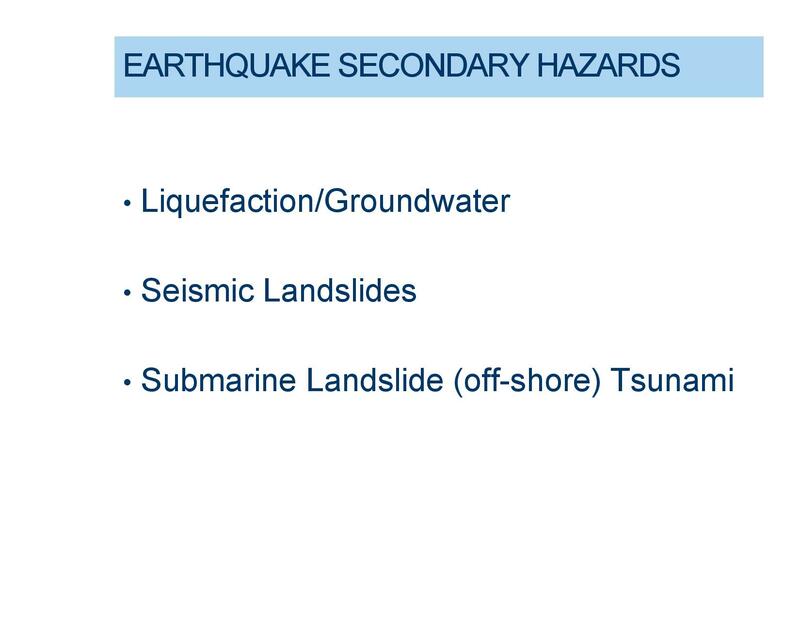 The following scenario products were developed in late 2015 to describe the hazard levels of the scenario earthquake. 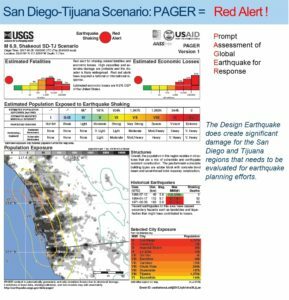 Note that the automatic estimates of the casualties and economic losses provided in the PAGER summary below, will be refined based on activities of the other working groups and will be described in the final scenario report. Special thanks to USGS for creating this scenario information. Tsunami Animation was provided by Aggeliki Barberopoulou, Mark R. Legg, and Edison Gica. 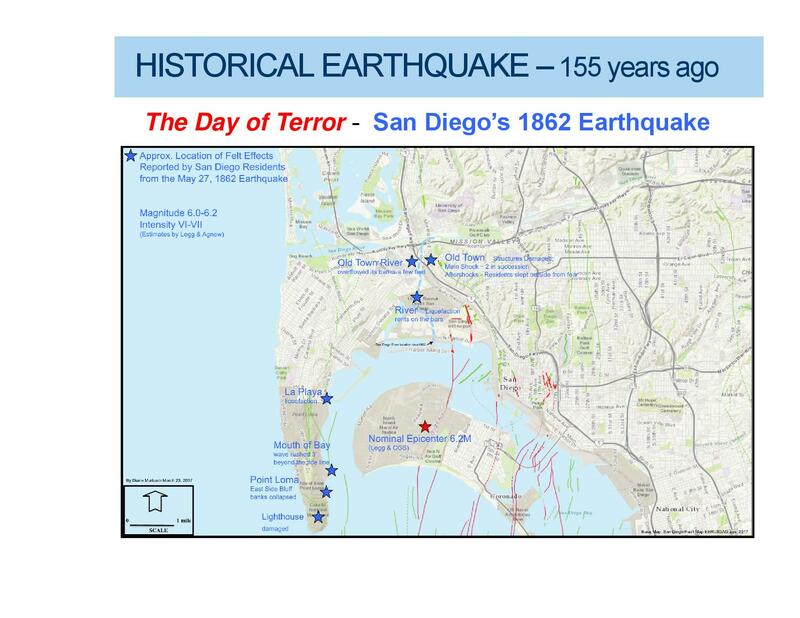 Based on published paper: Time Evolution of Man-Made Harbor Modifications in San Diego: Effects on Tsunamis In the Journal of Marine Science and Engineering ISSN 2077-1312 www.mdpi.com/journal/jmse. 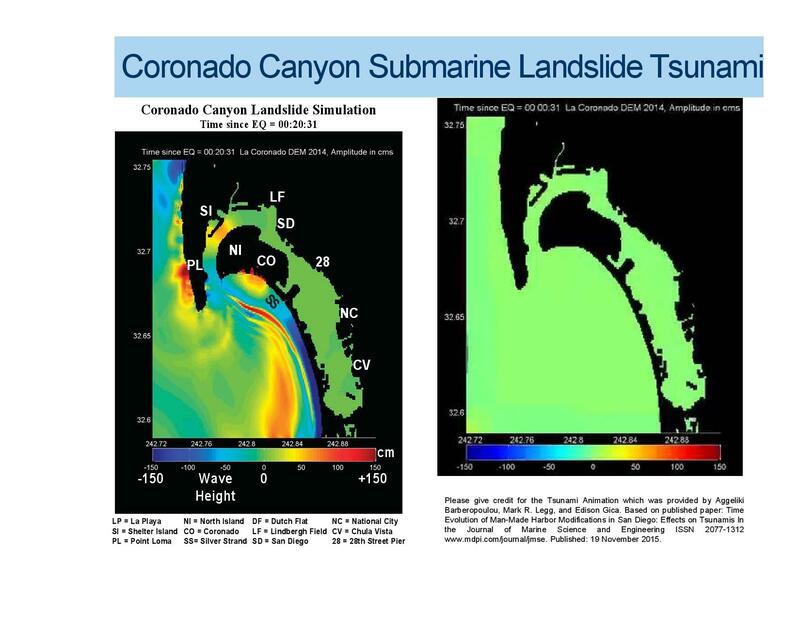 Published: 19 November 2015.